Continuing on in our regular series “The Vail Blog” – A monthly discussion on the “ABC’s” of discipline in health, fitness and wellness. The Vail Blog – “F”. . . The letter “F” has the fundamentals that can help provide you with a fabulous fitness workout. Starting with FUN: Enjoy what you are doing in the moment! Beyond that moment is FREQUENCY, how often you schedule this fitness routine? Within this workout, you should include a FULL body movement, like Burpee push-ups. Most importantly, consider how you FUEL your body. A perfect choice is with delicious macro nutritious foods! What’s are those, you ask? The body needs all three macros’ for optimal fuel: Carbohydrate, protein and fat. 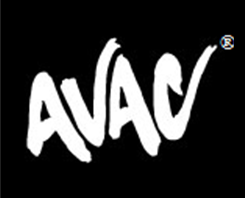 Hungry for more fun fitness facts, let’s talk jvail@avac.us.